Comment: I have a badly sagging exterior French door and a singe exciter door that needs replaced. Comment: sagging exciter door, a second that I need to replace. Comment: Patio sliding glass door does not slide easily. 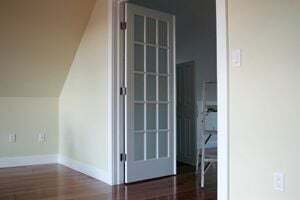 Comment: I would like to get an estimate for I need to replace my bedroom door in my apartment. It opens outward (into the hallway) and the door knob is on the right side (when facing the door inside of the bedroom). On the left side when opening the door out into the hallway to enter the bedroom. Comment: I need to replace my bedroom door in my apartment. It opens outward (into the hallway) and the door knob is on the right side (when facing the door inside of the bedroom). On the left side when opening the door out into the hallway to enter the bedroom. Flagstaff Door Services are rated 4.59 out of 5 based on 161 reviews of 5 pros. Not Looking for Doors Contractors in Flagstaff, AZ?